THE trial of MDC deputy chairperson, Tendai Biti has exposed the rot within the judiciary after a text message from a senior prosecutor that was produced at the Harare Magistrates' Courts yesterday showed evidence of possible State capture. Michael Reza, a chief law officer erroneously sent a text message to advocate Thabani Mpofu allegedly insulting magistrate Gloria Takundwa who had granted permission for livestreaming of Biti's case saying such a decision was made without consulting Chief Justice Luke Malaba. According to Biti's lawyer Beatrice Mtetwa the message was directed to the Presidential Anti-Corruption Unit boss Thabani Mpofu. In the message, Reza described Takundwa as "very brave or very stupid or both". "Mpofu, its Reza, how are you? 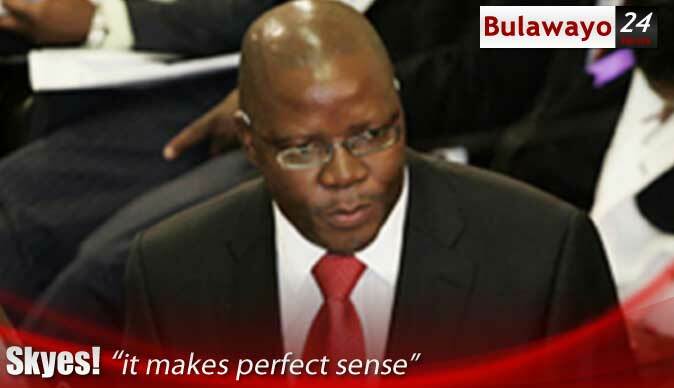 Another strange ruling by the magistrate trying Biti. They applied for live streaming of the case, with cameras and journalists in court and proceedings beamed all over the world. She has just agreed to that without authority of her boss the Chief Justice. She is either very brave or very stupid, or both, kkkk," the message read. Mtetwa filed her complaint before Takundwa saying Reza's message is likely to compromise the independence of the Judiciary by taking orders from the Executive. The human rights lawyer has since applied to have Reza held for contempt of court. The State, represented by Jonathan Murombedzi told the court that they will institute an inquiry into the matter. The MDC also condemned Reza's utterances describing them as shocking and unacceptable. In a statement, MDC spokesperson Jacob Mafume said Reza's utterances were clearly contemptuous of court and a clear expression of personal interest in the matter. "The revelation that Michael Reza is questioning the decision by a Harare magistrate allowing journalists to live stream Hon. Tendai Biti’s trial is not only shocking, but unacceptable. "This is clearly contemptuous of the court and a clear expression of personal interest in the matter," Mafume said. "This bias is, however, a reflection of wider challenges within the National Prosecution Authority. The Constitution makes it clear that the NPA must be independent. However, Reza has exposed his bias in contravention of this principle. "We have also stated that all the cases against vice-president Morgen Komichi, Honourable Biti, Honourable Happymore Chidziva have nothing to do with prosecution but persecution. Reza’s text message vindicates our view." The MDC spokesperson demanded the removal of Reza from the NPA saying threatening judicial officers must be a thing of the past and urged that all trumped-up charges against members of his party be dropped. Last month, Reza was removed from prosecuting Biti by Takundwa after the MDC deputy chair's lawyer Mtetwa complained that the lead prosecutor was conflicted, partial and unfair after he filed an offensive affidavit before the court. Reza and Biti almost came to blows in court after the public prosecutor accused the opposition leader of playing a role in the fatal shooting of six civilians by the army cracking down on post-election violence on August 1. This prompted Mtetwa to seek Reza's removal from the case saying he had already convicted her client before the commission of inquiry had finished its investigations. The issue of judicial independence also came into focus last month when advocate Thembi Magwaliba, who is representing former Local Government minister Saviour Kasukuwere, clashed with regional magistrate Hosea Mujaya, accusing him of being pressured by Justice Malaba into rushing for trial without being given enough documents to prepare for the trial. Magwaliba had asked for postponement of the matter, saying he needed to attend a Judicial Service Commission workshop in Victoria Falls, but Mujaya argued that the matter had to be heard with expedience as instructed by the Chief Justice. This resulted in Magwaliba filing a complaint that his client would not receive a fair trial as the magistrate was being pressured.